The celebrated translator of Marcel Proust's À la recherche du temps perdu, C.K. Scott Moncrieff was an enigmatic man: a Catholic convert and a homosexual, a gregarious party-goer but deeply lonely. He was a decorated World War I hero and an interwar spy as much as he was a public man of letters, and some literary figures saw his Proust as an improvement on the original, yet the work consumed him and may have led to his early death at 40. 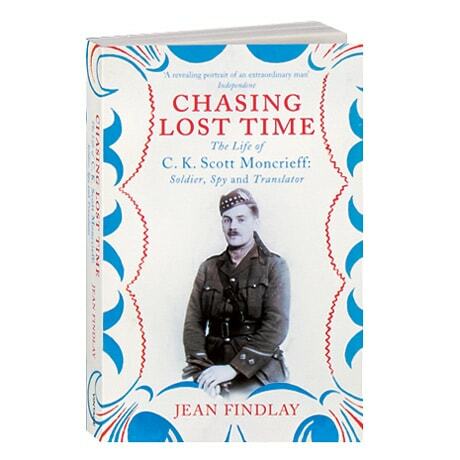 Written by journalist, playwright, and theatrical producer Jean Findlay—Moncrieff's great-great-niece—with exclusive access to the family archive, this is a fascinating portrait of a man living through an era of war and profound change, and who rendered in English the definitive modern novel.